When it opened in 1788, Northallerton prison’s first inmates can have had little doubt as to society’s attitude towards them. Never mind that it was designed by John Carr – who also created Leeds’ grand Harewood House – this was the first custom built prison in the country and its purpose was clear in the looming walls: punishment. Or, in the dispassionate language of the day, ‘correction’. It’s easy to imagine that walking into Northallerton prison for the first time was a sobering experience, because it still is. The facility closed at the end of 2013 and a consultation into the fate of the listed buildings is underway, but in the meantime the local council is allowing small groups to tour the site. Things have quickly fallen into disrepair, with weeds thriving in the exercise yard, paint peeling everywhere and the odd fragment of fallen ceiling hanging, incongruously, in netting above the communal spaces. Yet nothing has softened the blank stone and the bars – the sense of being partitioned off from society remains tangible, despite the cheer of the enthusiastic volunteer guides. The little details, related in the sharp cold air of narrow cells, underline the otherness of the prison experience. Inmates here were slopping out their waste pails as recently as the 1990s. Those nets were installed (in part) to keep out contraband, such as SIM cards and drugs thrown over the walls inside tennis balls. It still came in: prisoners would be found, drunk, having eaten vodka-laced oranges. Some would learn craft and construction skills to prepare for release, while in their cells others would build crude tattoo machines out of contraband paperclips and electric razors. Yet right until the moment it closed, no cells had heating. Touring the prison gives a tiny insight into the uneasy collision of the modern emphasis on rehabilitation with Northallerton’s much more punitive original purpose, built into its very bricks so profoundly that no amount of remodelling could shift it. Paintings and strips of elegant, inmate-crafted wallpaper remain on display, but it’s clear from visitors’ reactions that the hulking pile still drapes an oppressive atmosphere over anyone stepping into a cell. 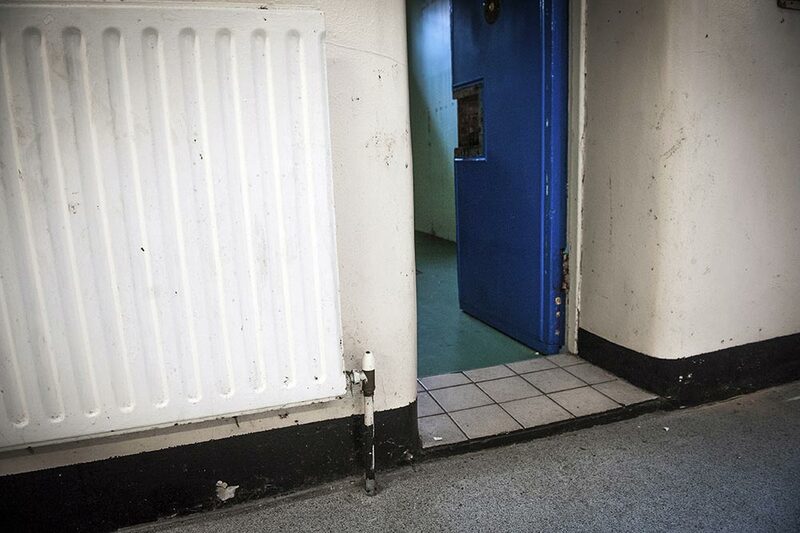 If a half hour tour with open doors everywhere can still evoke this feeling of disconnection, small wonder long term prisoners would take to shouting from their windows to shoppers in the neighbouring Tesco. This isn’t to say the concept of prison doesn’t work or isn’t necessary (or that the shouting inmates were engaged in wholly innocent communication). But a glimpse behind the walls of one of these ancient hulks quickly suggests that they could never meet the requirements of the modern justice system; that cramped cells, drug culture and even lack of basic sanitation are unlikely to help anyone prepare for a different kind of life. The justice secretary, Michael Gove, is looking into selling such Victorian sites (he has singled out Pentonville for particular criticism) to fund new purpose-built facilities, and on the evidence of touring Northallerton it’s easy to see some merit in the idea. You’re not supposed to relish spending time behind those walls, but nor should they make things worse. The prison’s ultimate fate is currently undecided – it will be intriguing to see what happens once the walls finally come down.